The adult moths have patchy grey and brown forewings, each with alternating pale and dark diagonal marks along the costa. 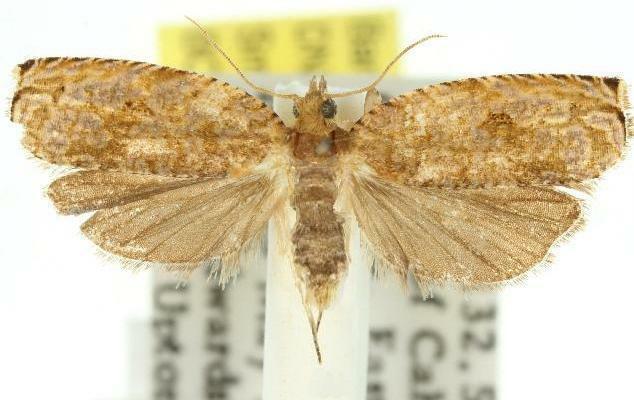 The hindwings are a uniform pale brown. The wingspan is about 1.5 cms. CSIRO Publishing, 2006, pp. 223, 226-229. Volume 36, Part 2 (1911), pp. 261-262, No. 369.